Brides- and grooms-to-be take comfort in the tangible, whether its bridal magazines that seem to weigh five pounds each, reception venue floor plans or photos of dream cakes. But keeping these tangibles handy at all times means lugging around a thick binder stuffed with paper. No thanks. This week, I tested several wedding-planning applications for mobile devices that may get couples reaching for an iPhone instead of a binder. As a recently engaged person, I tested them for realistic usability, time-saving techniques and friendly user interfaces. It’s nearly impossible to get engaged without quickly growing addicted to TheKnot.com, a one-stop shop for brides and grooms alike. Here, couples can create budgets using a template that estimates cost per item, and they can import guest lists in Excel spreadsheet format. They can also page through photos of other weddings held in their area, or obsessively chat online with other engaged people whose friends are tired of listening to them. Unfortunately, The Knot Inc. doesn’t have one mobile app that replicates all of the rich features on its website, though typing http://mobile.theknot.com into the mobile browser on a device like the BlackBerry, iPhone or Android phones opens a condensed version of some features, including the ever-ticking countdown (201 days to go!) and checklists sorted into Category, Date or Reminders. 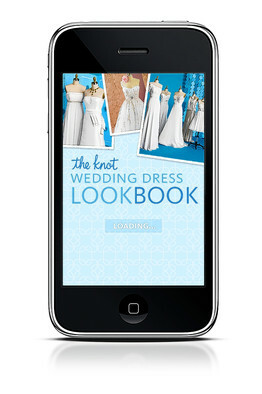 The company does offer two free iPhone apps (Android apps are in development) that focus on certain features of the website: The Knot Wedding Dress Look Book and The Knot Wedding 911. The Look Book encourages brides to find just the right wedding gown by entering details about themselves like body type, personality, type of wedding and best physical feature. Wedding 911 includes hundreds of wedding questions that are collected, sorted into eight categories and answered by the site’s editor in chief. IPad owners can get their Knot fix by reading a digital magazine with features like videos demonstrating do-it-yourself save-the-date cards. The iPad app itself is free, but the magazine costs $4.99 per issue. Subscriptions aren’t available. Thanks to the iPhone’s built-in camera, couples don’t need a store’s barcode scanner gun to add items to their registries; instead, they can take photos of products’ barcodes with their phone to automatically add items to registries. The MyRegistry.com Universal Wishlist With Barcode Scanner ($0.99), WeddingScan ($0.99), Registry Stop (free) and Gift Registry 360 Scan and Add (free) are four such iPhone apps that perform this function. If the barcode photo doesn’t work, users can manually type in the product name and take their own photo of it to illustrate. 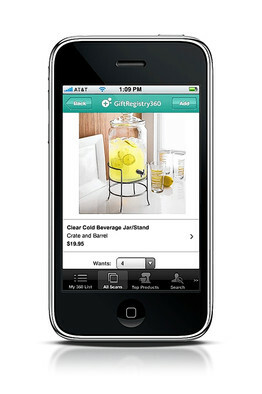 Gift Registry 360’s free iPhone app is a personal bridal registry. Users photograph barcodes with their phone cameras to automatically add products to the list. A friend of mine who’s a successful wedding planner in North Carolina recommended two apps for the iPhone and iPad: Brides Wedding Genius and My Wedding Concierge. 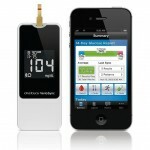 Both are available in free versions, though a $4.99 version of My Wedding Concierge is also available for the iPad. Brides Wedding Genius is a free iPhone app that focuses on dresses, jewelry and travel destinations for a wedding or a honeymoon. Users conduct searches for content by plugging in preferences such as price, style of ring or destination. Results can be starred and saved to a list of favorites. 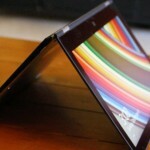 A helpful “Find Online” tab quickly opens each item’s website within the app. 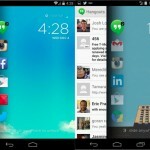 A $2.99 upgrade will add features and sync the app with BridesWeddingGenius.com. My Wedding Concierge is a self-described inspiration engine, and I tested the full version of this app on my iPad. The home screen of this app offers a large search box and an “Inspire Me!” option below this box. Inspiration comes in the form of suggested wedding blogs, of which there are many, I’ve discovered since becoming engaged. I like that My Wedding Concierge tries to sort through these blogs to return relevant content, even though some blogs seemed a bit unrelated to my searches. 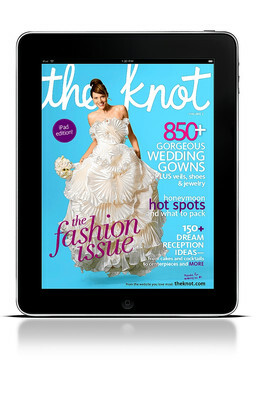 The Knot’s iPad app offers a digital magazine version of the popular website and costs $4.99 per issue. The $9.99 iWedding Deluxe iPhone app works well if you have a lot of people already added as contacts in your iPhone; a shortcut lets you move those contacts over to the app in one step, thus keeping names of transportation companies, photographers, the ceremony officiant and rental companies in one central spot. This app’s Home screen shows a countdown clock that measures time down to the second after users input the time of their wedding during setup. A section called The Guide helps locate nearby wedding vendors using GPS and Google Maps. It also lists useful blogs and tips for setting a budget, choosing a ceremony venue and proper etiquette. I found a handful of wedding planning apps on the Android and BlackBerry platforms, including a $1.99 Android app called MyWeddingBudget and a $2.99 BlackBerry app called Wedding Organizer. 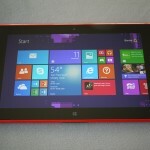 But both of these felt rather bare bones and not as intuitive as the iPhone and iPad apps I used.